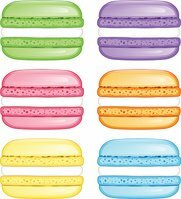 Cute colored macaroons. Watercolor food image. Colorful French macaroons on royal background.